Why does a simple gold wedding cake deserve an article of its own ? Because the gold wedding cake isn’t simple at all. This glorious dessert is something that every wedding guest will remember. 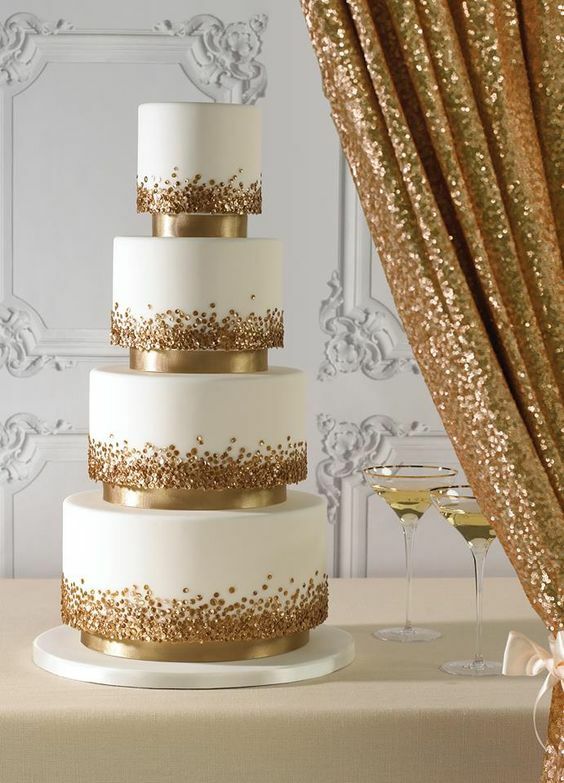 Gold cakes are classy, spectacular and simply beautiful. If you’re having some problems with deciding which one to have, we’re here to help. Take a look at some of the best golden cakes. Source Heads up: there’s gonna be a lot of white and gold combinations. Why ? Because it’s really, really pretty. This four-tired cake has some wonderful golden accents. These sequins are showstoppers!